There was so much to take away from the end of year media availability with the players, Gallant, and McPhee, that we figured we’d chuck it all into one post and then break out stories from it over the next couple weeks. So, here are all of our takeaways from the final day of the 2017-18 Vegas Golden Knights. 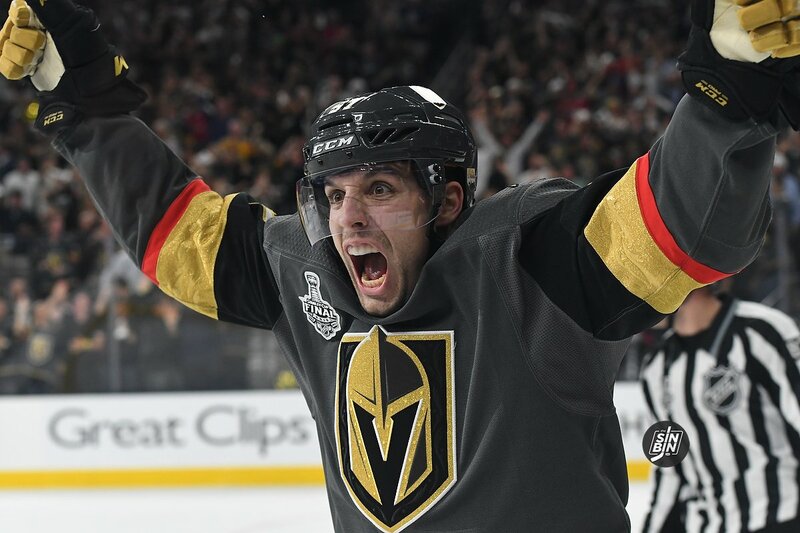 Las Vegas has become home for a lot of players on the Golden Knights, but no one has adopted Vegas quite like Pierre-Edouard Bellemare. This team realized they were going to be good a lot earlier than they led on. Many different players were asked and the answers varied from the second day of training camp to Christmas. He has always found stability important because he’s bounced around teams a lot in his career. Term length seems fairly important to him. Mentioned “his buddy” Marchessault specifically a few times as a reason he wants to stay. Perron’s illness which kept him out of multiple games against Winnipeg was a 103-degree fever. He told the doctors he wanted to play but their fear was that he could possibly spread it around the room. He was sent back to Vegas before Game 2 of the series and felt better when he came back. The reason Perron was kept out of a portion of the Kings series was due to an injury to his neck. He sustained it earlier in the year and said he and the doctors didn’t think early in that series was the right time to come back. The game got off to a horribly slow start with neither team creating much of anything. Then a penalty by Colin Miller gave the Capitals their first real opportunity of the game. Alex Ovechkin banged one off the bar and Vegas escaped unscathed. The period ended scoreless, not the Golden Knights best though. The 2nd was the complete opposite. Five total goals were scored in a span of 14 minutes in the period. Washington scored first and third, the Golden Knights came back to tie the game twice with goals from Nate Schmidt and David Perron. Then, a late power play goal from Reilly Smith put Vegas ahead for the first time since the 1st period of Game 2. Following the goal, a massive scrum ensued which resulted in four roughing penalties. Vegas had a couple good chances to open the period, specifically from the second line. Tomas Tatar then took a hooking penalty which opened the door again for the Capital power play. 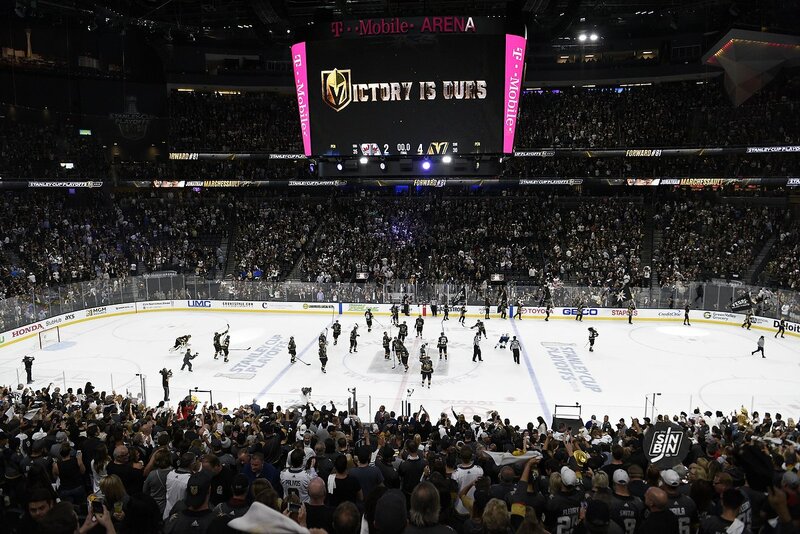 They were unable to convert, but that didn’t stop them from pouring on the pressure and ending the Golden Knights dreams of winning the Stanley Cup in their expansion season. 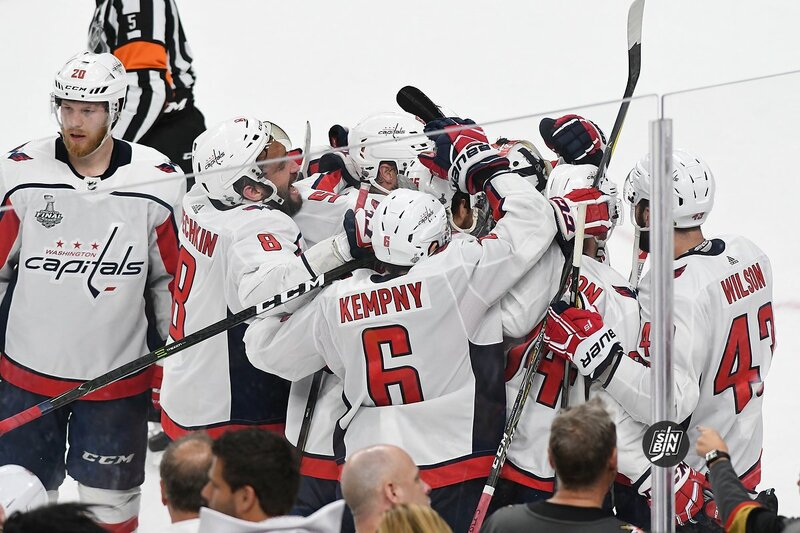 A pair of 3rd period goals gave the Capitals the lead, one they would hold to the finish to win the Stanley Cup. 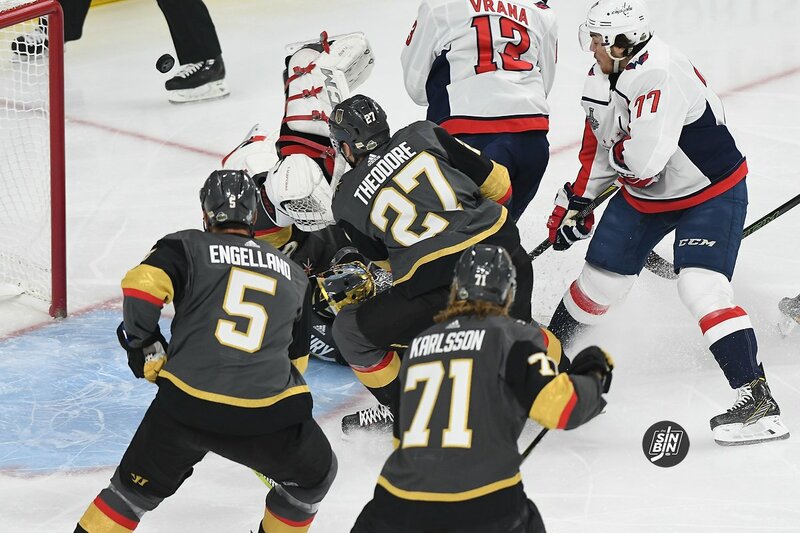 Upcoming stories from the Vegas Golden Knights vs. Washington Capitals in Game 5 of Stanley Cup Final of the Stanley Cup Playoffs at T-Mobile Arena. The first of many posts looking towards next year and how the Golden Knights can complete the final hurdle. The clock has stuck midnight. Three wins too soon. Sbisa with ANOTHER turnover and the Cup may be on the ice in 7:37. When the Golden Knights score first they’ve been almost impossible to beat in the postseason. Their record is an astounding 11-2 when netting the game’s first goal. 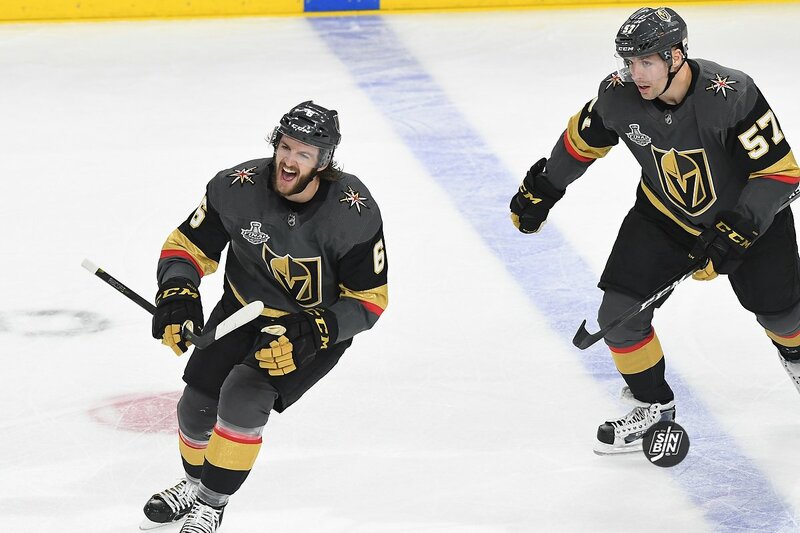 In the Stanley Cup Final, they’ve scored the opening goal just twice, which is one of the reasons why Vegas is facing elimination tonight. Smith’s linemate laid it out even simpler. The Golden Knights were 34-5-2 in the regular season when they took the games first lead. Taking a lead, protecting it, and winning playoff games was a winning formula for the Golden Knights, until this series. 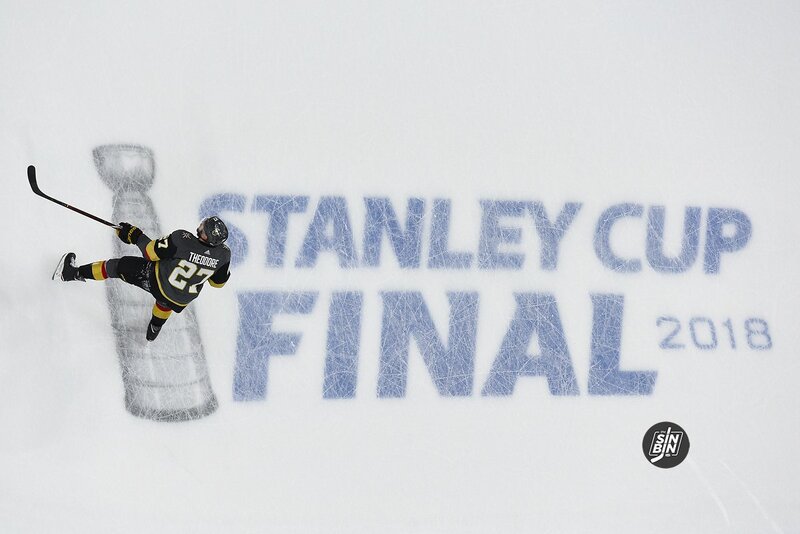 Leading up to Game 2 of the Stanley Cup Final, in 16 postseason games the Golden Knights lead for 162:43. Since then, they’ve lead for just 9:29 minutes, and have trailed for 123:18 minutes. The Golden Knights seemed confident Game 5 will be a different outcome than the last three games. It begins with the Vegas top line and top players. Going by the numbers, scoring first will greatly help the Golden Knights chances to extend the Cup Final. The series isn’t over if Washington jumps on the scoreboard first, but it puts immediate pressure on Vegas to answer. It doesn’t matter which Golden Knight scores, just as long as it’s the opening goal. Just over a minute into Game 4 a puck caromed off Erik Haula’s skate and hit the post. Two minutes later Reilly Smith had a wide-open look at an empty net and put it wide. Then, on a power play, James Neal was fed a pass which found him staring at a net even more open than the Smith shot, and Brayden Holtby made another unbelievable save. Finally, 20 seconds later Neal hit another post. Four chances, less than five minutes into Game 4, and the Golden Knights had absolutely nothing to show for it. The “way it is” is cruel, it stinks, it’s frustrating, but there is a positive. The Golden Knights did get back to what they’ve done well all season in this game. They created chance after chance after chance but they just didn’t go in the net. If one does, the game might be different, but more importantly, maybe the next one will too. Game 4 wasn’t like Games 2 or 3. The Golden Knights did not fall into the same traps. In fact, tonight’s a game they feel like they have a good shot to win more often than not. The Golden Knights came out looking like the best team in hockey for the first 10 minutes of the game. All four lines were buzzing, they created three or four Grade A chances, but Brayden Holtby and his post kept all of them out. Then, a tripping penalty in the center of the ice on Colin Miller led to a power play goal and the ceiling caved in from there. Two more 1st period goals sent the game to intermission at 3-0 and the Golden Knights into a hole in the series they will have a very tough time climbing out of. Another barrage of VGK chances opened the 2nd, and once again, the posts and Holtby kept them all from getting to the net. A power play the other way and the Caps take advantage again. The Golden Knights cut it to 4-2 with a couple goals in the 3rd, but couldn’t keep the Capitals off the board. Just not Vegas’ night and not a good trip to Washington. Now, it’s a 3-1 deficit in the series and the Golden Knights will look to become the first team since 1942 to win three straight when down 3-1 and win a series. 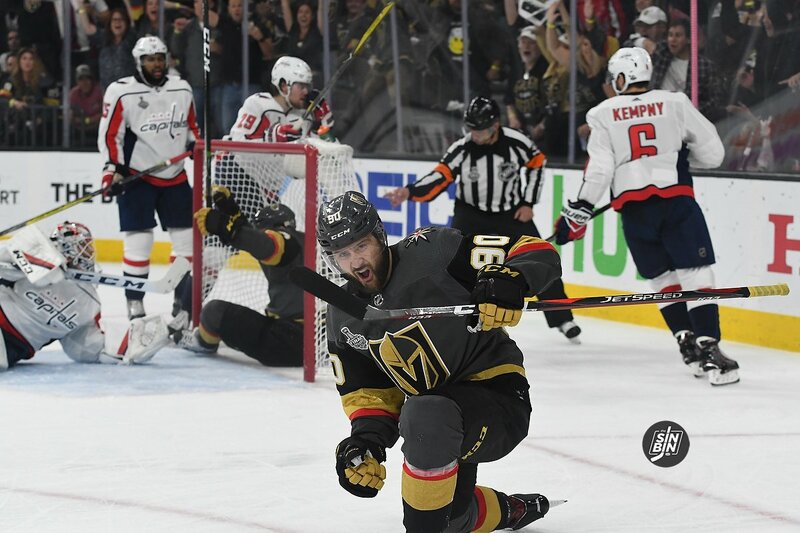 Upcoming stories from the Vegas Golden Knights vs. Washington Capitals in Game 4 of Stanley Cup Final of the Stanley Cup Playoffs at Capital One Arena. The must-win Golden Knights arrived on time, created chances, but couldn’t get one to go. Then, they disappeared. Their chances in the series likely went with them. The ugly numbers behind 3-1. Golden Knights have 20 scoring chances, 9 high danger. Capitals have 9 scoring chances, 3 high danger. It's 3-0… the wrong way. VGK in huge trouble now. Yikes. An absolutely dominant first 10 minutes results in no goals, an empty power play, and now they've got to kill a penalty. Jonathan Marchessault used the words “must-win” three times in the first two questions during his morning skate media availability. 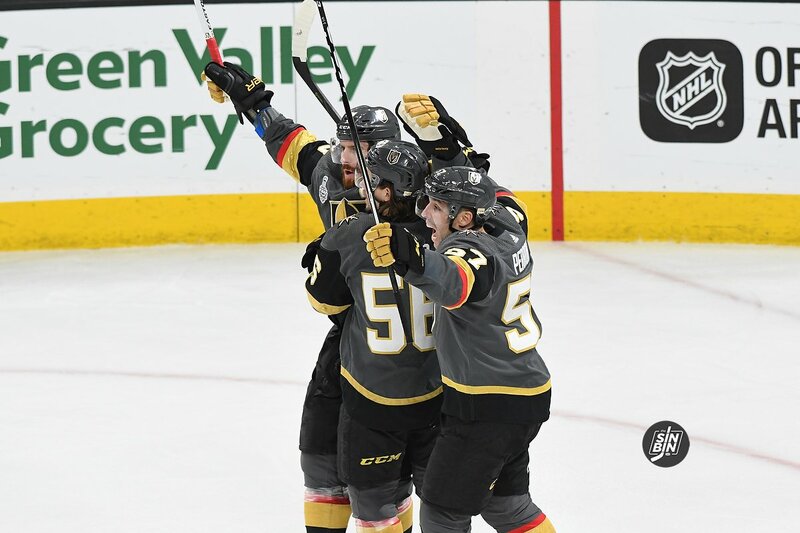 That term has been thrown around by others in the moments since the Golden Knights went behind 2-1 in the Stanley Cup Final, the deepest they’ve trailed in a series all postseason. However, the focus is inward, looking at themselves to get back to the style of hockey that’s gotten them to this point, something they believe they haven’t played in any of the three games this series. Bellemare believes the fix is easy too. His message has also comes through on the ice. The Golden Knights fourth line has been consistently excellent in the series, scoring goals, checking both ways, and controlling play a majority of the time they are on the ice. Heading into Game 3, Erik Haula, James Neal, and David Perron had been fairly flat in the Stanley Cup Final. Then Game 3 happened, and second line struggle has turned to second line disaster. In 180 minutes of hockey, the trio has a combined three points (1 goal, 2 assists), just 10 shots on goal, seven shots blocked, seven missed shots, and a whopping -9 rating. All three are under 45%, they’ve allowed 12 high dangers chances while creating just three, and worst of all, they were on the ice for all three goals in Game 3. It was glaringly obvious that the second line was having trouble creating any real threat. Neal’s laser of a goal in Game 2 is the line’s only goal, and it took an incredible individual effort rather than team play to score it. Plus, even that lost its luster after Don Cherry pointed out Neal’s shot was slightly deflected off Washington’s Michal Kempny’s stick. When the Golden Knights have lost in the playoffs, and it hasn’t been often, they’ve always found a way to correct their wrongs. They’ve learned from their mistakes, fixed them, and have not fallen into the same traps that saw them on the wrong end of the scoreboard the previous game. Many times in the postseason they’ve even won games, still realized their errors, and cleaned them up the next time out. They fell into a hole, they didn’t get enough traffic in front, they didn’t forecheck as a unit, they couldn’t break through the clogged up neutral zone, and they didn’t finish the chances when they were there. Problems in Game 2 were problems in Game 3 and that is not normal for the Western Conference Champions. In addition to the “old” problems of Game 2, there were a few new ones as well. We’re not used to seeing this with this group. It’s not just the back-to-back losses, it’s the similarities in them. 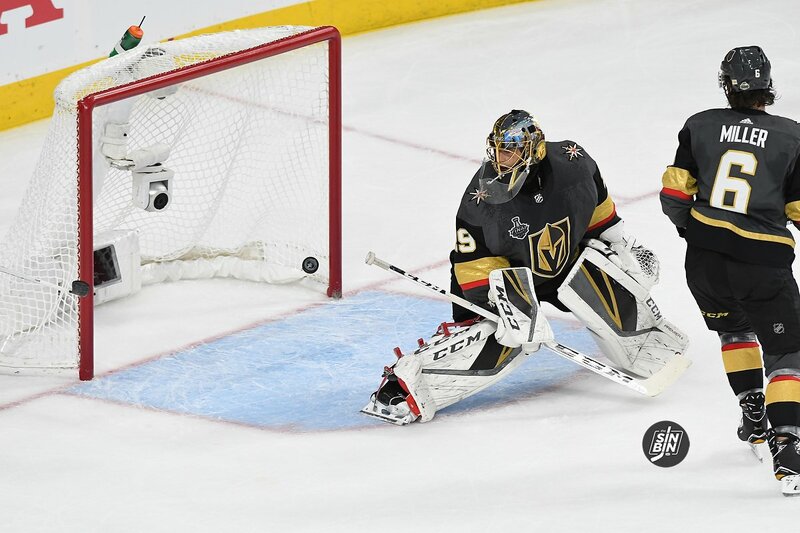 Once again the Golden Knights did not play like the Golden Knights, and once again they fell victim to the same issues that hanted them in Game 2. Falling behind didn’t help either. Game 4 is about finding a way to correct these issues. They’ve done it all year, they’ve got to do it again. The “must-win” Golden Knights need to show up to Capital One Arena on Monday.